Operations Specialist – Supply Chain Intern at HP Inc. The HP Way is led by our shared values. We solve tough challenges by bringing out the best in each other, working in ways that are good for us and for the world. … And we have fun doing it! finding alternatives to improve HP and customer interlock, accelerating market share and cash-flow. Our social learning platform brings together the collective intelligence of our more than 50,000 employees. 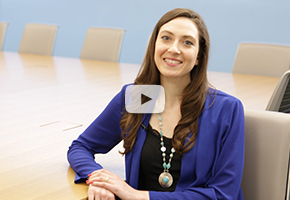 Elizabeth shares her view on HP's culture - open collaboration is one thing she brings up. Learn what else defines HP.